Mr. James (Red) Brady Oxendine, 67, of 98 Little Rod Road, Lumberton, NC, departed this life Saturday August 25, 2018 at Southeastern Regional Medical Center, surrounded by family and friends. He was born in Dillon, SC on June 18, 1951, a son of the late Gradie Mae Oxendine. He was preceded in death by a brother, James Edward Revels. He is survived by his wife, Susie Locklear Oxendine of the home; two daughters, Teresa Oxendine (Robert), Katina L. Oxendine both of Lumberton; five grandchildren, James (Taylor) of Great Lakes, MI, Brandon, Cheyenne, Jeremiah, Samantha Connor all of Lumberton; two brothers, James Grantley Revels (Cathy) of Lumberton, Erk (Buddy) Oxendine (Ashley) of Rowland; four sisters, Sudie Revels, Jackie Oxendine (Allen Wayne West), Annette Ball (John) all of Rowland, Peggy Cook (Allen) of Dillon, SC; two very special brothers-in-law, Terry Taylor of Fairmont , Wm Stacy Jacobs of Lumberton and a host of relatives and friends. Red retired from the NC Dept. of transportation after 24 years of service. He loved planting his garden which he did twice a year in order to help family and friends. His true passion was cooking and baking for those he knew and loved. 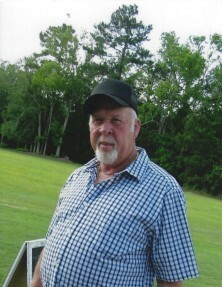 His favorite pastime was fishing and playing cards with his buddies.